Very often a parent will come to our firm and insist that they receive Sole Parental Responsibility for their child because they were the primary care-giver of the child while the parties were together, or because the opposing parent never helped and they don’t anticipate that this will change now that they are separating from that parent. However, as a general rule, Sole Parental Responsibility is disfavored under Florida law. The Courts of Florida will generally award parents what is known as Shared Parental Responsibility. Getting a divorce or have questions about child custody or parental responsibility? The family law lawyers of Morgan and Barbary can help. Attorney Clay Morgan has many years of experience litigating parental responsibility issues and will work tirelessly to obtain the best possible result for you. 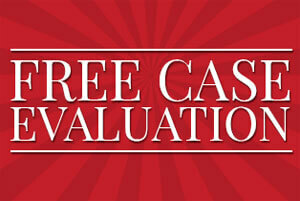 Call Clay today for a FREE telephone consultation at 321-951-3400 and discuss the specifics of your case. Shared Parental Responsibility means that both parents will equally share in the major decisions affecting the welfare of the children, including decisions regarding education, religious training, health-care, discipline, child care providers, and other decisions which affect the wellbeing of a child. The Courts favor Shared Parental Responsibility because they want each parent to have a voice in the raising of their child, even after the parents separate and live apart. The theory is that if the parents are working together to comply with the requirements of Shared Parental Responsibility, they will have a more stable and well rounded environment for their child. Sole Parental Responsibility occurs when the Courts provide one parent the right to make all decisions related to the children without consultation or input from the other parent. Sole Parental Responsibility is usually awarded to a parent only if the opposing parent is a danger to the child or has proven themselves, through their past conduct, unworthy to share parental responsibility of a child. This might involve a parent who is in jail or has been charged with crimes against a child or domestic violence in the past. A parent asking the Court to award him or her sole parental responsibility bears a very high burden to show the Court that the other parent is irresponsible, neglectful, abusive, or poses a risk to the child; and that their involvement in the decision-making process on child issues is not in the best interests of the child. It’s important to note that just because you believe the other parent to be irresponsible doesn’t give you the right to obtain Sole Parental Responsibility. The Courts and parties also have the option in their Parenting Plans to carve out certain areas where one parent or the other might have the controlling decision-making authority over certain aspects of the child’s life. For instance, this may occur in situations wherein the parties agree that one parent has always directed the child’s religious education (or extracurricular sports involvement), so the parties agree to allow that person to continue to make those decisions for the child. But for the most part, the Courts expect the parties to discuss all issues and act reasonably and in a coordinated effort in the best interests of the child. You may be asking yourself by now what good is Shared Parental Responsibility to me when my former spouse is going to fight me on every decision we are supposed to make jointly? The answer to that lies in a well-crafted agreement or Final Judgment. Where the terms are clear as to what is expected of each parent, a parent may be held in contempt by the Court for denying or obstructing the other parent’s exercise of their Shared Parental Responsibility. For example, if your former spouse unilaterally changes documents at your children’s school so that you cannot pick up the children, or refuses to list you as a contact, the Court may hold your former spouse in contempt. A continued pattern of denying the other parent Shared Parental Responsibility may establish grounds sufficient for a showing of a substantial change in circumstances such that the Court may award a change in time-sharing in a subsequent action for a modification of time-sharing or a modification of the Parenting Plan. The family law attorneys of Morgan and Barbary have handled thousands of cases involving difficult parenting issues. We will ensure that your agreement or Final Judgment provides you with the framework necessary to anticipate problems and protect you and your child in the future. Call us today at 321-951-3400 for a FREE telephone consultation with our caring lawyers and we will provide you with a reasonable assessment of your chances for an award of Sole Parental Responsibility or ultimate decision-making and an evaluation of the facts of your particular situation. Don’t attempt these important and complicated matters without being well-informed. Call us today.